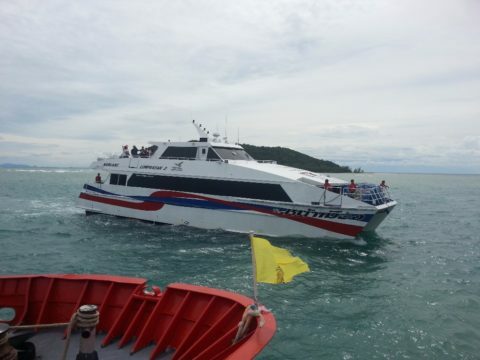 The Lomprayah High Speed Ferry Company operates two daily services from Hua Hin to Koh Tao. The morning departure is by far the most popular of the two services and 2 hours 45 minutes quicker. 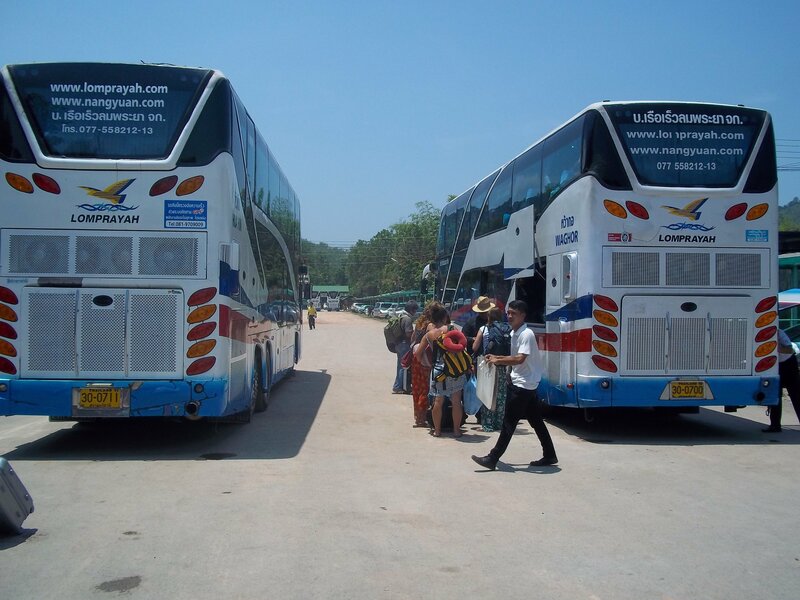 The evening service is much slower as the coach stops on route for several hours to pass time until the ferry departs the next morning to Koh Tao. Child fares are now available online at 530 THB per child aged between 2 and 12 at the time of travel. The Lomprayah Service is a joint bus and ferry service. Use the Search Box below to book tickets from Hua Hin to Koh Tao. We recommend booking your tickets from Hua Hin to Koh Tao at least a week in advance particularly during high season or around the time of the monthly Full Moon Party. Although the Full Moon Party is not on Koh Tao, the Lomprayah ferry carries onto Koh Phangan where the Full Moon Party is held after docking in Koh Tao. At busy times of the year you may find that you have difficulties in booking a ticket from Hua Hin to Koh Tao because the tickets have all been booked in advance by people wanting to travel to Koh Phangan to attend the Full Moon Party. The Lomprayah High Speed Ferry Company has well deserved reputation as the best travel operator in the Gulf of Thailand. 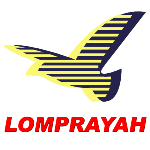 The first stage of the journey with the Lomprayah Company is by a modern bus with air-conditioning and on board toilet. 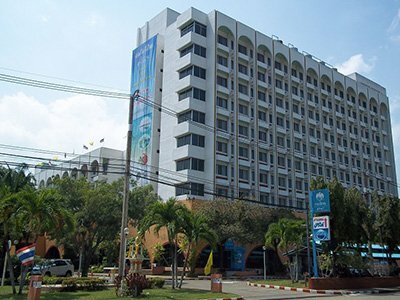 The bus departs from from the Lomprayah Office on the Kanjanomai Alley, which is 650 metres from Hua Hin Train Station. 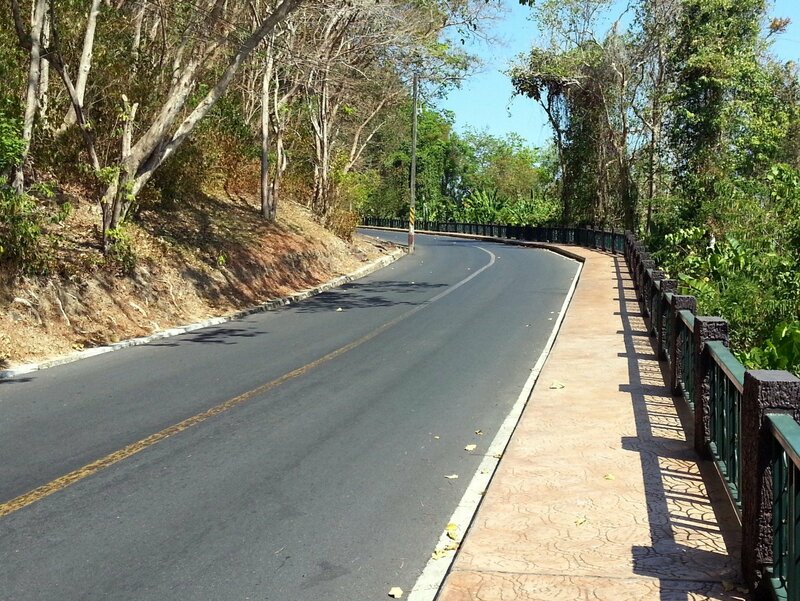 The bus journey takes 4 hour 12 minutes to reach Thong Makham Noi Ferry Pier near Chumphon. At the pier passengers transfer to a high speed catamaran ferry for a sea crossing to Koh Tao. These large modern ferries feature both indoor and outdoor seating, with plenty of toilets, a video entertainment system and small shop selling drinks and snack. Most passengers find the sea-crossing a pleasure. The bus to Koh Tao departs the Lomprayah Office on the Kanjanomai Alley in Hua Hin Town Centre. The ferry arrives at Koh Tao’s main ferry pier on Mae Haad beach.